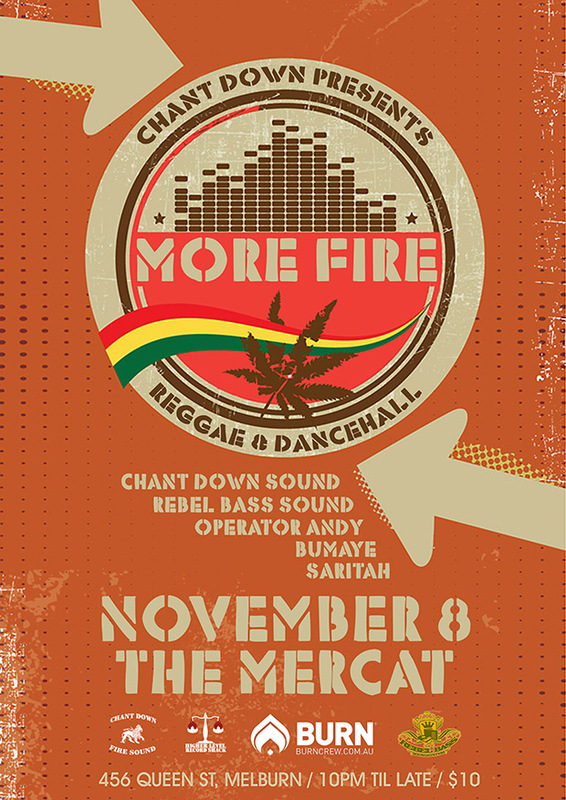 Get ready for Jamaican music from all eras – from the deep roots of the 70s, to the foundation sounds of the early 80s, through to the latest new reggae and dancehall – as Chant Down blaze it up down in The Mercat basement. Residents Jesse I and Ras Crucial will be joined in November by special guests Rebel Bass (NZ), Operator Andy, and Bumaye; plus guest vocals from internationally acclaimed songstress Saritah. More Fire!! More Fire # 165 takes place on Saturday 8th November at Deep 11 (Mercat Cross Hotel basement, 456 Queen St, Melbourne). Doors open at 10pm, with a cover of $10 or $8 for concession holders, and PBS FM members.